(Double!) Publication News: Germ Magazine + The Next Post - fairy skeletons. I'm published in two more magazines! Germ Magazine is centered around teenage girls, offering advice, art/lit, articles, etc. at germmagazine.com. It promotes honesty about sexuality, race, and other issues that teenage girls face in the real world, and it was founded by Jennifer Niven. What's really interesting about this magazine, in my opinion, is that it was born out of a fictional Germ Magazine in Ms. Niven's forthcoming YA book, All the Bright Places. The poem that I submitted is called "we are all significant figures", and it's been up at my new poetry/snippets Tumblr before I took it down and sent it in. I've been getting a lot more into poetry lately; I love the fluidity it gives me. 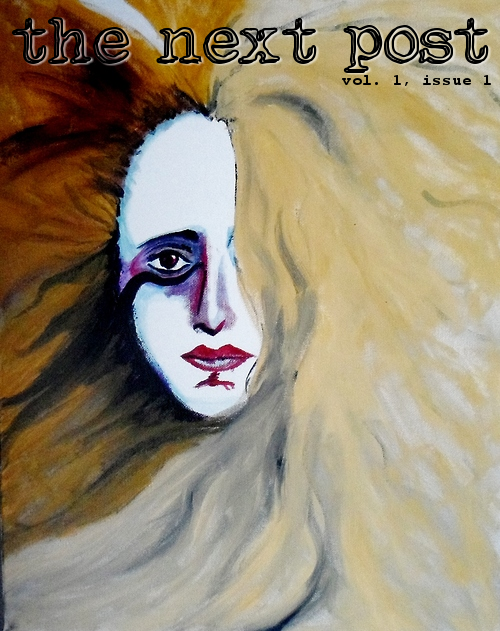 I'm excited to share this wonderful magazine with you all - and my poem, which will run within the next few weeks! The Next Post is a literary magazine "for Tumblr, by Tumblr". Since I've been on Tumblr since this summer and have loved basically every minute of it, it seemed only natural to submit. Since the mag accepts fanfiction as well as short stories and poetry, I dug up the first and only fanfiction I've ever written. It's quite old, untouched since around March 2013, because I wrote it for a friend's birthday. My friends and I are all rabid Infernal Devices fans (seriously, though - you should all read that series), and Jem and Will's relationship is one of my favorite things about it, so I naturally attacked my feels by venturing into the fanfiction world. Look for "At the River" in the table of contents! For those of you who would like to check this out, the first issue is hosted here. What a great way to kick off 2014, writing-wise! I'm hoping to bring you more published writing this year as well. Thanks for reading!